Golden Tulip Hotel Cannes - Outdoor swimming pool with garden wing and private garage and parking. In this green site, you find yourself in the heart of green Provence, with a swimming pool in gray granite, surrounded by the fragrant cypresses of the Italian coast, thyme of the garrigue of the hinterland of Nice, rosemary, savory , Orange trees, lemon trees and olive trees straight out of the books of Pagnol. For an aperitif or a last drink, the piano bar invites you in its intimacy revisited to immerse yourself in a baroque and warm atmosphere .... 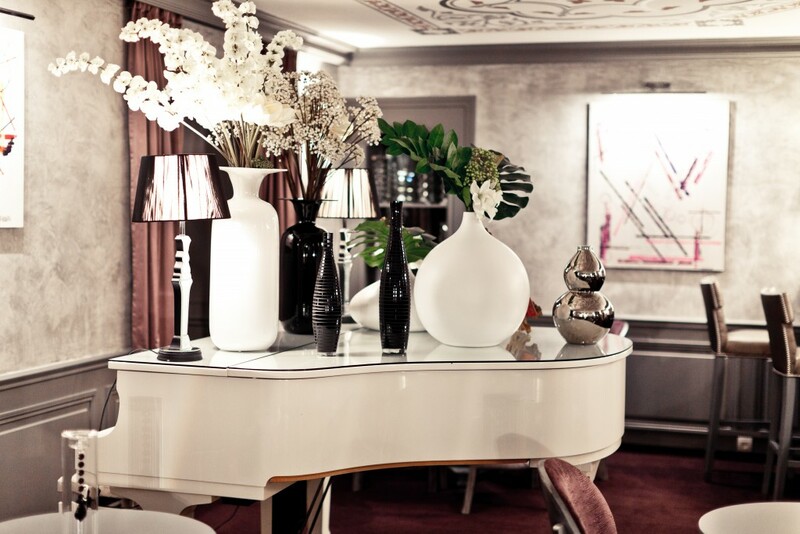 The bar "Le Trianon" will await you in its "juice" revisited gray, parma and silver, open 24 hours a day. Meeting rooms for events and other business seminars. Our lounges on the ground floor, in natural light and in an elegant castle style décor, offer direct access to the terrace and swimming pool for personalized breaks. You‘ll have an access to WIFI, giant screen on the wall, Videoprojectors (on request), sounds system with 3 wireless microphones (on request). Lunch is served as buffet lunch in Lerins/Esterel meeting rooms or could be served on terrasses in the sun shine. Our hotel has 19 parking spaces, available upon reservation and subject to availability. 25€/day. Free valet parking. All our parking spaces are closed and under 24/7 video-surveillance. ADVANTAGES BEACHES PARTNERS HOTEL DE PARIS CANNES! Cannes has an international reputation and the Golden Tulip Hotel de Paris 4 * guarantees you to enjoy the best of Cannes. This beautiful 4-star hotel in Cannes was once a mansion, today its frontage has lost none of its elegance of the 19th century and its elegant and modern interior, completely renovated. 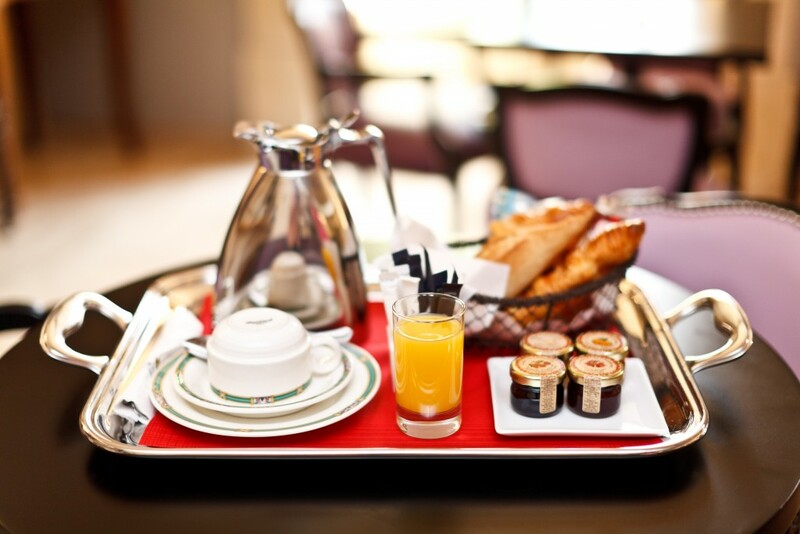 Moreover, the modernity is reflected by the many first-class amenities available in rooms and the hotel itself. The Hotel offers 50 luxurious 4-star rooms as well as 7 new apartments with hotel services. All of the rooms and suites as well as the apartments feature fine furnishings and all the latest amenities, including flat screen TVs, free High-speed WiFi and great bathrooms. This 19th century mansion is located in the heart of Cannes city center, close to all city attractions. We also offer an exceptional outdoor swimming pool and a very rare private Garage and parking in Cannes. 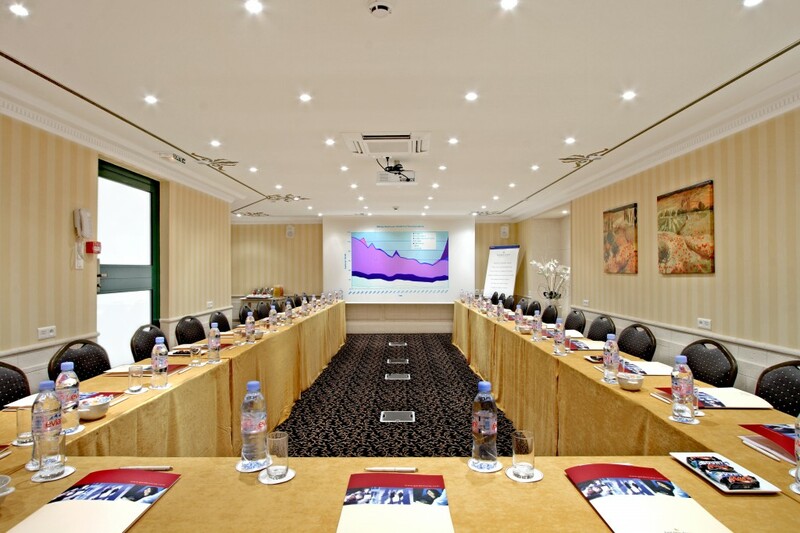 If you look for fully-equipped meeting rooms in Cannes, look no further. 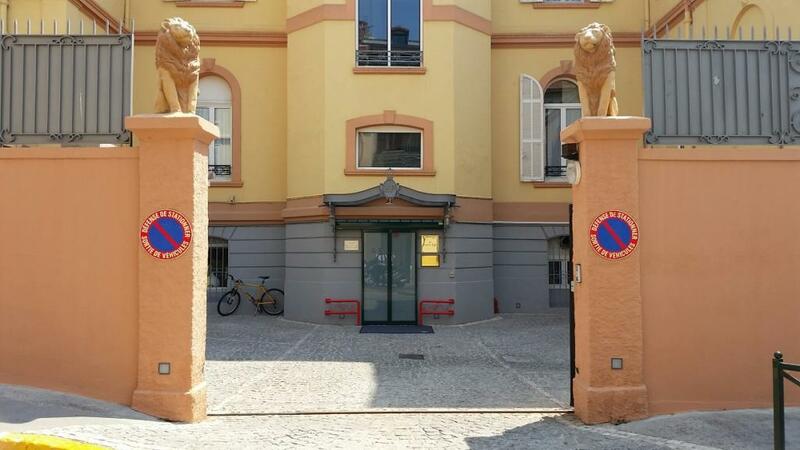 The hotel is located in the heart of the city center, close to the main shopping street of Cannes (rue d’Antibes). Other famous landmarks such as the Palais des Festivals and Congresses are also easily accessible walking. Cannes Old Town and the sandy beaches are also nearby.